Our house offers lovingly renovated and individually furnished rooms. No two are alike – each one is unique and has its own individual charm. Many of our rooms are still equipped with the original furnishings from the turn of the century. Old wooden floorboards, carefully restored furniture from the past and precious antiques provide for a historically elegant ambience. The perfect contrast to a modern lifestyle! You have the choice between different room categories. The interior design and size even vary within the category. Please note: The photos of the illustrated rooms are sample pictures and are not binding, as all of our rooms are different in terms of furnishing and size. All rooms are non-smoking! 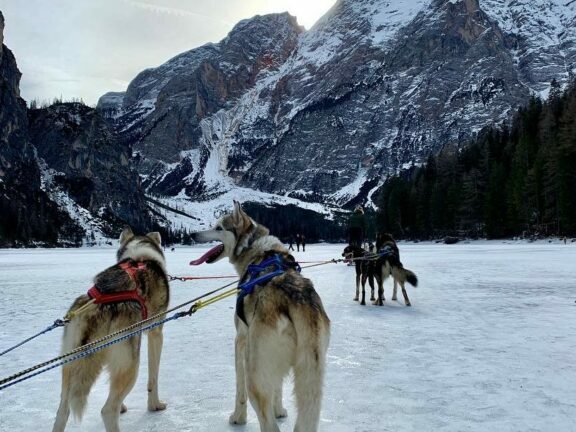 Enjoy the view of the Lago di Braies and the impressive mountain scenery of the Seekofel. Our rooms in the premium category have been carefully and stylishly renovated and are predominantly furnished with original furniture from the founding period of the hotel. Enjoy a wonderful view of the lake from your private balcony. Traditional. Comfortable. Inviting. Our standard double rooms are functional with a variety of furnishings. 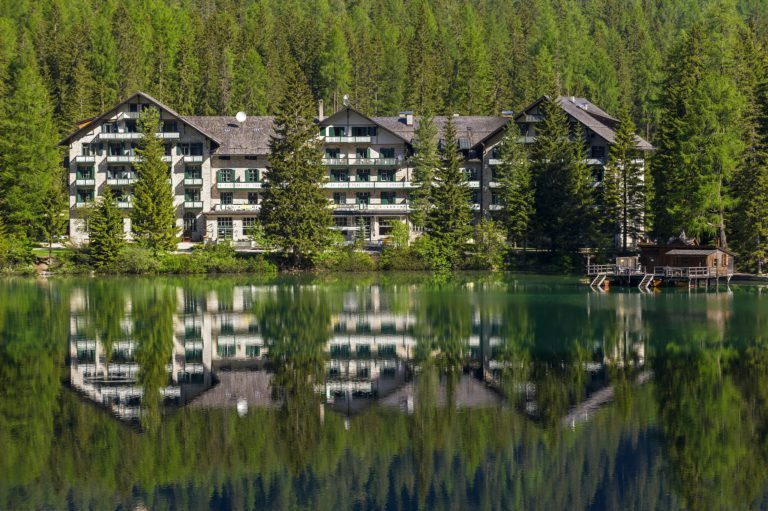 Enjoy the view of the lake and the splendid scenery of the Braies Dolomites from your private balcony. Spacious, individual and affectionately designed – you will experience your stay in our lavishly renovated suites with original furnishings from 1899. The inviting rooms offer a separate living and sleeping area, leaving plenty of room for relaxing hours. A step out on your balcony and the clear Lago di Braies with the imposing Seekofel is directly in front of you. With this unique view, the mountains are almost within reach! Spacious, individual and affectionately designed - you will experience your stay in our lavishly renovated suites with original furnishings from 1899. The inviting rooms offer a separate living and sleeping area, leaving plenty of room for relaxing hours. A step out on your balcony and the clear Lago di Braies with the imposing Seekofel is directly in front of you. With this unique view, the mountains are almost within reach! This room category offers enough space for the whole family. Lovingly restored and decorated with historical furniture, our family room consists of a double room with an additional double or triple bed. No need to worry about being too cramped in the mornings in the spacious bathroom with shower, bidet and toilet. Offering lake views, nothing stands in the way of a relaxed family holiday. Even a vacation alone can be something very special. Our tastefully and stylishly decorated single rooms are furnished with original furniture from the 1930s. With a view of the lake, you can focus on yourself and just relax. No need to worry about being too cramped in the mornings in the spacious bathroom with shower, bidet and toilet. Offering woodland views, nothing stands in the way of a relaxed family holiday.